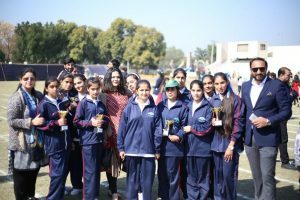 I happened to attend the annual sports day of a school and to my surprise I got to know that one of the teams is of some shelter home named as APNA GHAR. 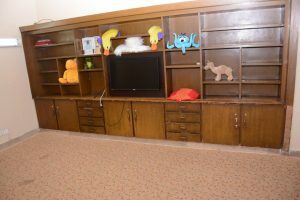 The residents of this shelter home performed amazingly throughout the event and they were very tidy, very neat, the way these girls were talking, the way they behaved made me question myself if orphanages really provide such facilities. This forced me to look into this orphanage named as APNA GHAR a project of Abdul Aleem Khan Foundation. The word APNA gives me a feeling that it is a home that you can call it yours. 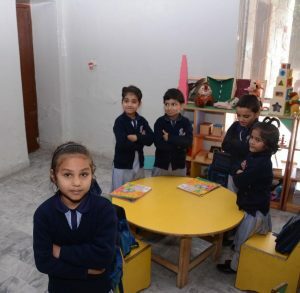 This project of Abdul Aleem Khan is solely for the girls, Apna ghar provides roof, protection to the girls who are orphans and those whose parents have married somewhere else and the girls can’t live with them for one reason or two. There is not one shelter home with this name but two and there is one school with this name that works under this umbrella. The two buildings are used for residential purposes and the one is for school. The APNA GHARs are located in one of the posh areas of Lahore, that is Cantt. The houses are have double storey’s, The rooms have bunk beds and wooden fitted cupboards and attached baths. There is a living room with LED and toys for the little girls and also swings so that they can enjoy in their leisure time. The girls get education from kindergarten till matriculation and I got to know that the course is in English medium. Also, after completing matriculation the girls are being sent to colleges and obviously the tuition fee is on the foundation. The girls get new clothes every month, they do dine out every month. With the provision of such facilities AKK foundation focuses on the character building of girls and also teach them how to live better in a society, there is a female cook and maid at the service of girls yet the girls who are old enough to cook get the training of cooking so that there isn’t anything left for these girls to be capable of. The interesting point to note is that AKK foundation arranges the marriages of the girls when they get to certain age with the consent of the relatives of such girls. 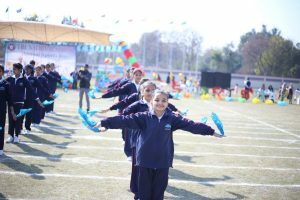 Abdul Aleem Khan Foundation is a progressive and dynamic non-profit organization which is leading the way in humanitarian assistance by providing viable financial support to those in need.